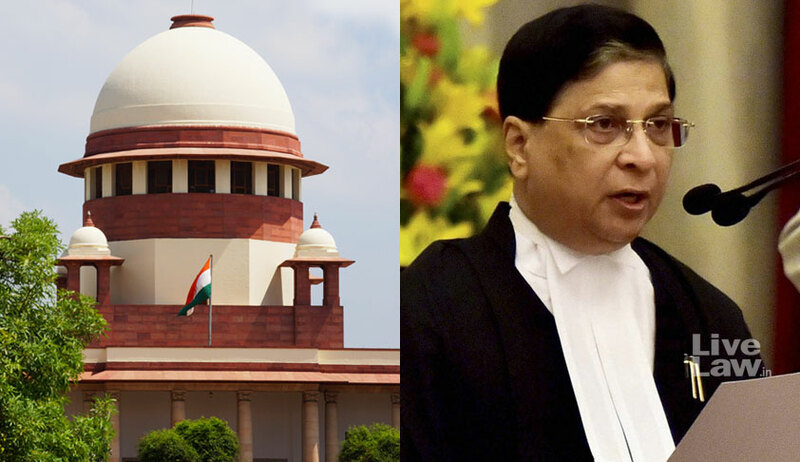 The Supreme Court bench headed by Chief Justice Dipak Misra has scheduled for hearing on Monday the question for reconsideration of the directions to check abuse of Section 498A of the IPC laid down in the 2017 apex court judgment in Rajesh Sharma v. UOI. Remarking that the directions govern the procedural aspects of the registration of a complaint by the police or the Magistrate under Section 498A, the Chief Justice envisaged a reading of the Statement of Objects and Reasons of the Criminal Law (Second Amendment) Act of 1983 inserting the said provision in the IPC, a consideration of earlier views of the various High Courts and of the Supreme Court, and a deliberation on whether a Family Welfare committee as directed by the bench of Justice Adarsh Kumar Goel and Justice UU Lalit in Rajesh Sharma should be constituted to look into any complaint before arrest is effected. Senior counsel Indu Malhotra, having been appointed amicus curiae in a related petition by NGO Nyayadhar, submitted, “The judgment (in Rajesh Sharma) has been in operation since July, 2017 and no complaints under Section 498A has been registered since then”. It may be noted that hearing the petition on behalf of the said NGO, Chief Justice Misra had, on October 13, 2017, in context of the Rajesh Sharma judgments, remarked, “We are not in agreement with the judgment passed in the case. We can’t write the law. We can only interpret the law”. On Friday, senior counsel Indira Jaising drew the attention of the bench to an order of Justice Goel and Justice Rohinton Nariman delivered on Thursday requiring the placing of the Rajesh Sharma judgment before the Chief Justice for reconsideration. She submitted that on account of the Supreme Court website having been hacked, it has not been possible to access the order. When the Chief Justice remarked that the same was an administrative order, Jaising advanced that it was a judicial order. It was also contended on Friday that the 2017 judgment has necessitated prima facie truth of the allegations to be made out before arrest or other coercive action is effected and consequently, women are being harassed.